Review: Imagine walking through a meadow in early spring. An undetected breeze wraps its arms around you to cause stillness in your body and mind. It then delivers the meadows subtle, yet secure and established scents through your nostrils, bringing freshness and awareness to your heart and soul. At this point, you are surely alive. 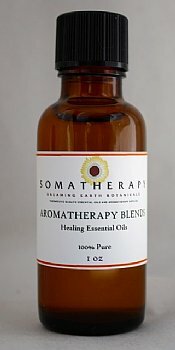 Review: I purchased this in the chakra set, but am back to buy more of this single bottle! I have many individual oils, but nothing beats this scent for a feminine, romantic scent, without being too floral or too overpowering! Is fantastic with patchouli and vetiver as well!